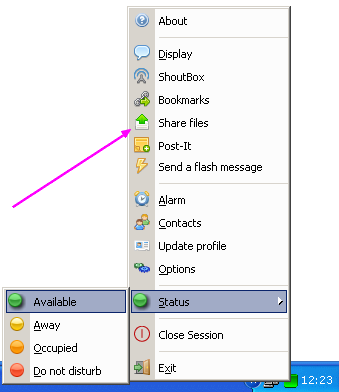 - File sharing/publishing (if server option _SHARE_FILES enabled) (same DropBox public folder). 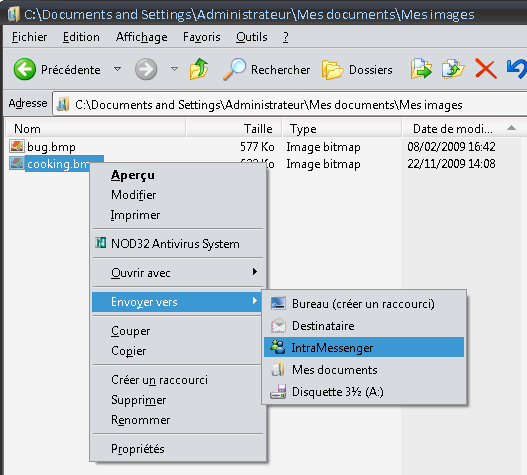 - File transfer/exchange (if server option _SHARE_FILES_EXCHANGE enabled, with _SHARE_FILES to). 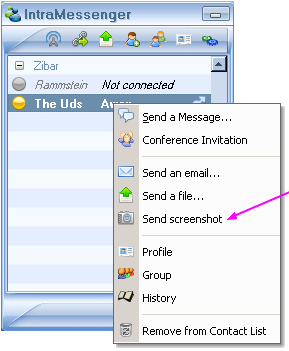 - Easy send screenshot (perfect for helpdesk). - Skin choice (if server option ALLOW_SKIN enabled). - Submit now your own skin to be retained in the official list! - Link button of last received address (url). 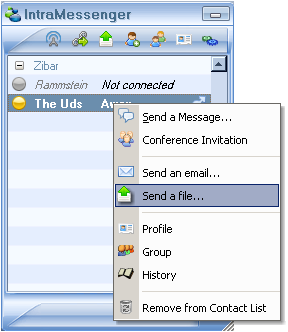 - Send email to a group. - Best perform load increases (on several hundred accounts). - Improve wake-up from (Windows) sleeping mode. - Fixed: display menu/button activated by roles (disabled for others). 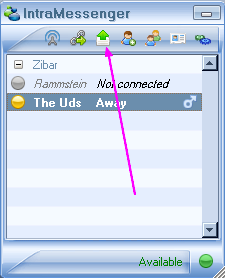 - Fixed: display table bookmarks (Windows XP and earlier). 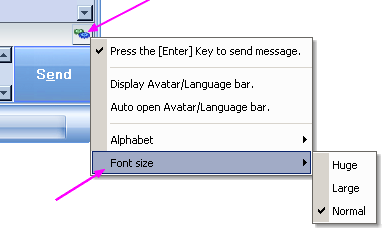 - direct send screenshot (perfect for helpdesk). - direct send photo from webcam. - upload multiple files by drag & drop. - writing nickname locked if server option _FORCE_USERNAME_TO_PC_SESSION_NAME is activated. - on first startup (if registery not necessary) indicates to simply write the username and password to create a new account. 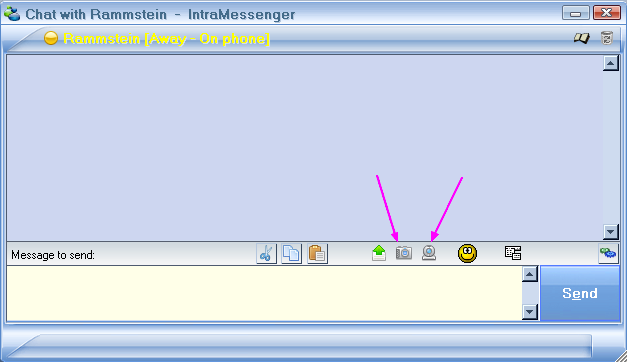 - on new message recept, blink messages windows title. 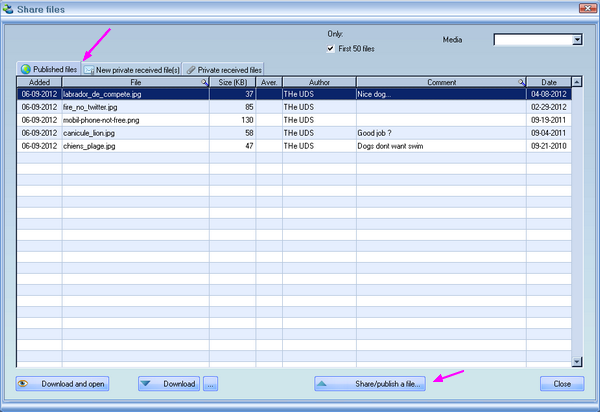 - shared files : change "50 first files" to "50 latest files". 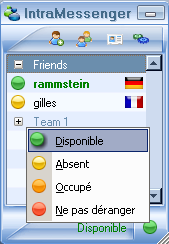 - access to 'groups' bouton from profile if option locked. - bugfix: access to sound notify.